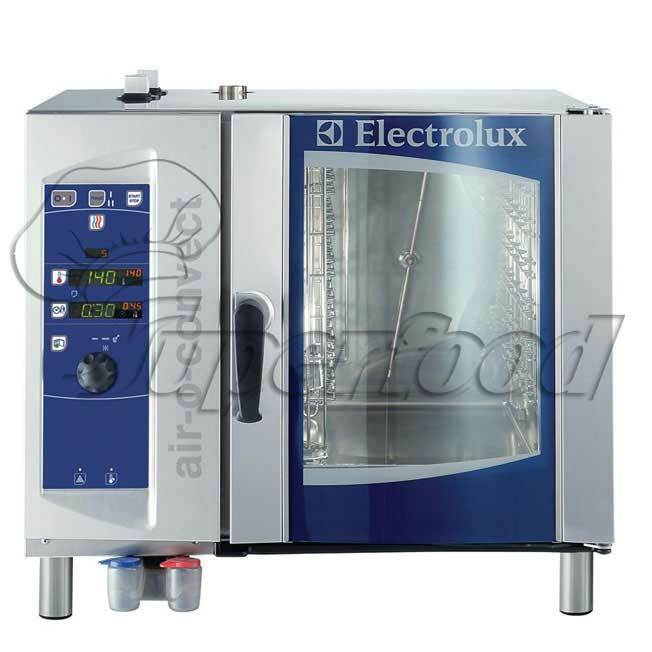 Electrolux air-o-steam blends tradition with the latest technological research in order to satisfy the creativity and working requirements of today's professional kitchen. 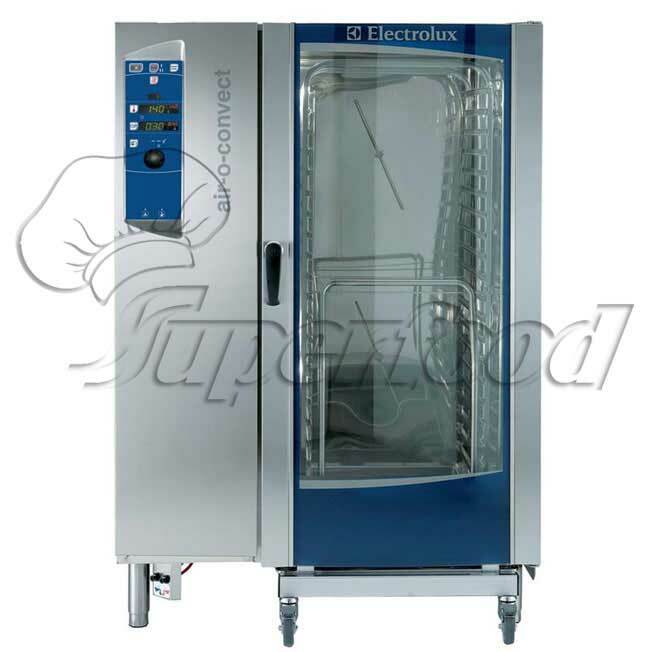 The air-o-steam range offers a choice of different models available in two levels of operation, providing a high degree of automation and an extensive range of accessories. The air-o-steam combis are designed to form complete cook&chill systems together with air-o-chill blast chillers/freezers, therefore, any installation can be tailored to meet the needs of the caterer. The air-o-steam combis detailed are level A, 20 GN 1/1 gas models. 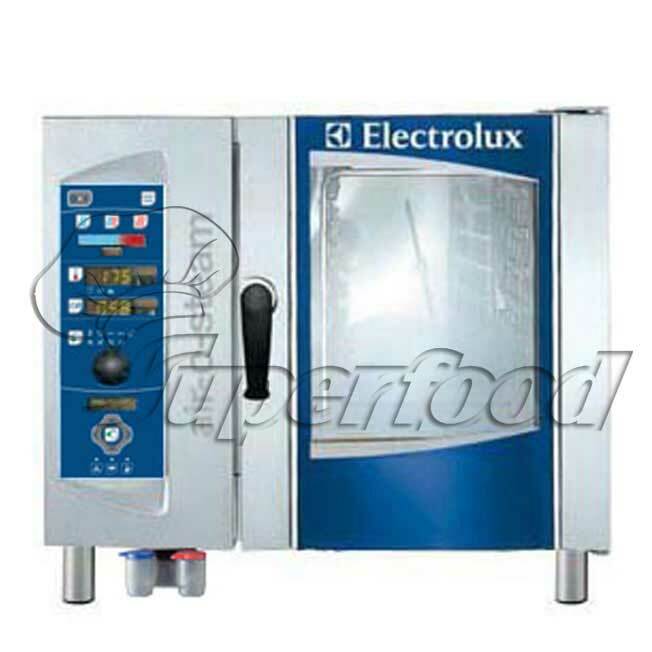 Electrolux air-o-steam blends tradition with the latest technological research in order to satisfy the creativity and working requirements of today's professional kitchen. The air-o-steam range offers a choice of different models available in two levels of operation, providing a high degree of automation and an extensive range of accessories. The air-o-steam combis are designed to form complete cook&chill systems together with air-o-chill blast chillers/freezers, therefore, any installation can be tailored to meet the needs of the caterer. The air-o-steam combis detailed are level A, 10 GN 2/1 gas models. 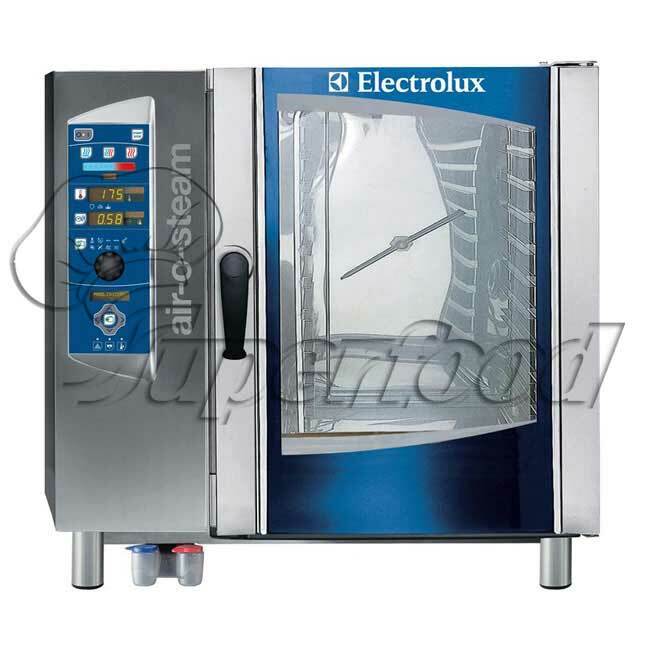 Electrolux air-o-steam blends tradition with the latest technological research in order to satisfy the creativity and working requirements of today's professional kitchen. The air-o-steam range offers a choice of different models available in two levels of operation, providing a high degree of automation and an extensive range of accessories. 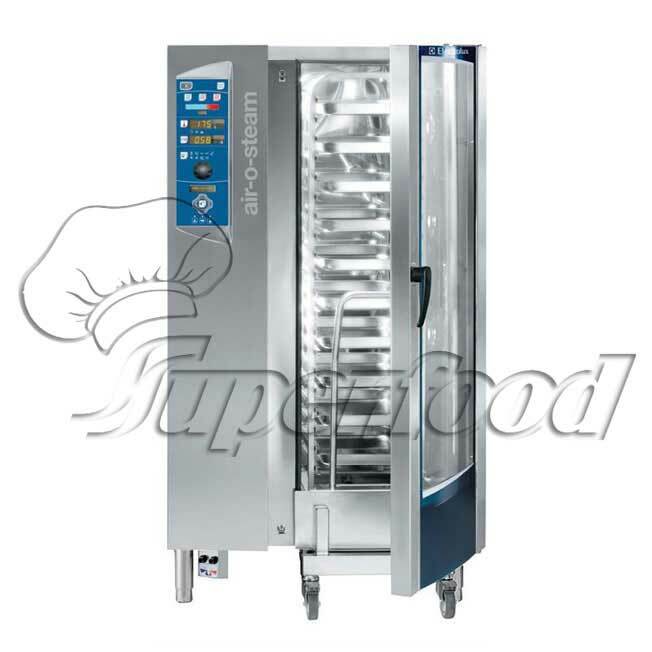 The air-o-steam combis are designed to form complete cook&chill systems together with air-o-chill blast chillers/freezers, therefore, any installation can be tailored to meet the needs of the caterer. The air-o-steam combis detailed are level A, 6 GN 1/1 gas models. Electrolux air-o-convect blends tradition with the latest technological research in order to satisfy the creativity and working requirements of today's professional kitchen. The air-o-convect range offers a choice of different models, providing a high degree of automation and an extensive range of accessories. The air-o-convect convection ovens with direct steam are designed to form complete cook&chill systems together with air-o-chill blast chillers/freezers, therefore, any installation can be tailored to meet the needs of the caterer. The air-o-convect ovens detailed are 20 GN 2/1 gas models. Electrolux air-o-convect blends tradition with the latest technological research in order to satisfy the creativity and working requirements of today's professional kitchen. The air-o-convect range offers a choice of different models, providing a high degree of automation and an extensive range of accessories. The air-o-convect convection ovens with direct steam are designed to form complete cook&chill systems together with air-o-chill blast chillers/freezers, therefore, any installation can be tailored to meet the needs of the caterer. The air-o-convect ovens detailed are 10 GN 1/1 gas models. 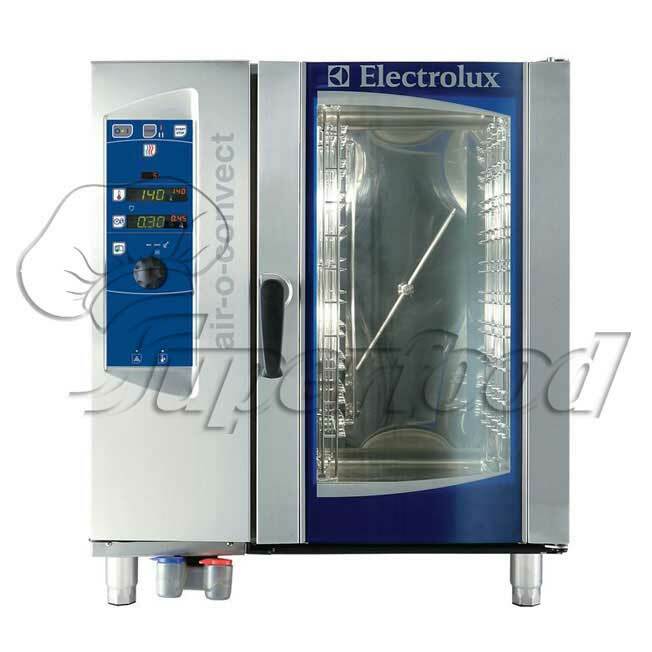 Electrolux air-o-convect blends tradition with the latest technological research in order to satisfy the creativity and working requirements of today's professional kitchen. The air-o-convect range offers a choice of different models, providing a high degree of automation and an extensive range of accessories. The air-o-convect convection ovens with direct steam are designed to form complete cook&chill systems together with air-o-chill blast chillers/freezers, therefore, any installation can be tailored to meet the needs of the caterer. The air-o-convect ovens detailed are 6 GN 1/1 gas models.